Along 2017, 138 fire cases occurred in Central Jakarta. It is mostly caused by short circuit.
" The most common cause is short circuit. Second cause is leaky gas cylinder hose"
From Central Jakarta Fire Handling and Rescue Sub-dept. 's data, most fire cases occurred in March with total 19 fire cases. "The most common cause is short circuit. 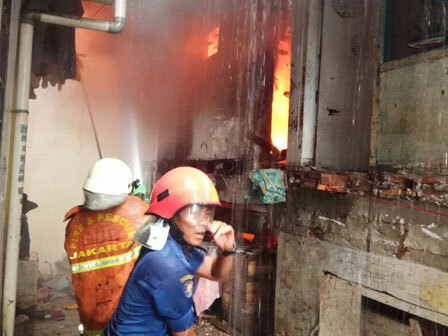 Second cause is leaky gas cylinder hose," informed Hardisiswan, Head of Central Jakarta Gulkarmat Sub-dept., Friday (1/12). His side has done various efforts to prevent fire cases to occur, such as fire socialization in settlements, especially densely populated settlements. "I hope fire cases occurrence could be reduced in 2018. Fire handling socialization will be intensified to suppress number of fire cases," he affirmed.